So the New Year is well underway and many of you would of started a new fitness regime, full of enthusiasm and motivation. When you’re mentally ‘in the zone’, it’s easy to attend the gym and it’s easy to eat the right things…But the one thing most people struggle with, is how to stay motivated when the going gets tough and you can’t be bothered! These are the days when it’s most important to attend and are the difference between achieving your fitness goals or not! Well we have come up with our top fitness motivation tips to help keep you on track, not just for the short term, but year after year! Did you know that more than 40% of gym participants fall off the band wagon shortly after they begin a fitness regime if they attend on their own? But if they work out with a friend, the dropout rate decreases to just 6%! As humans, we are often fine with letting ourselves down, and can easily talk our way out of things. But we are much less likely to want to let a friend down. 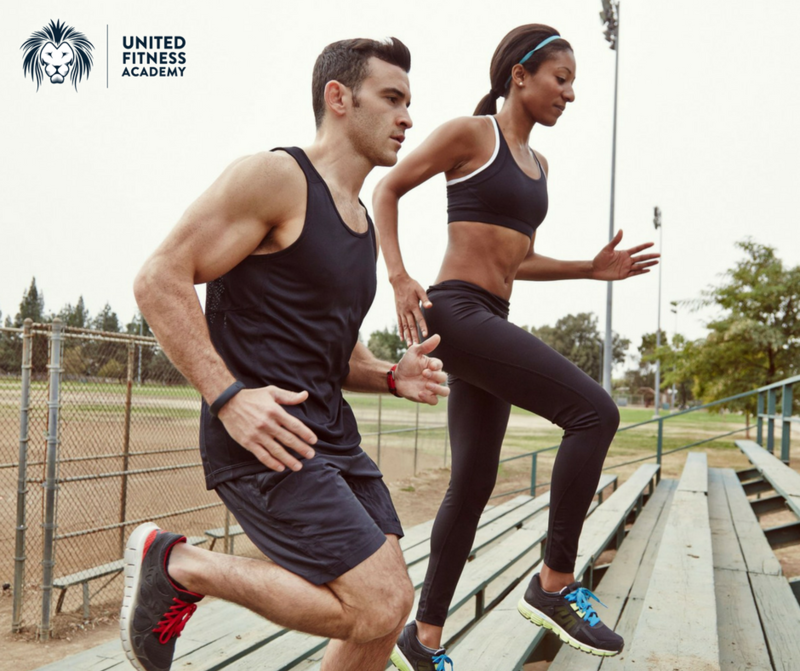 Having a workout buddy also adds a social element to fitness, and sharing your success with someone like minded makes reaching your fitness goals feel even better! On days that you have planned to exercise – get your gym kit on early! By getting changed into your gym clothes, you are already one step closer to getting out the door and attending. Get changed in plenty of time and mentally prepare yourself to get out the door and go. One of the main reasons people don’t keep up with their exercise routines is because they either set unrealistic goals, or they focus solely on a long term goal which might take a long time to achieve. So when results don’t appear as quickly as they had hoped, they give up. By creating small achievable goals (that ultimately add up to your long term goal), each step seems reachable and this gives a greater sense of achievement when you hit them. Be sure to reward yourself when you hit these short term goals too – preferably not with an all you can eat buffet trip! But maybe an away day with friends, or a shopping trip! This one is a classic workout motivation tip! If your goal is to get back into your favorite dress / jeans – pin up a picture of yourself wearing it. Or if you have set yourself a fitness challenge – pin up a photo of that event. Visual reminders are extremely powerful tools to help keep you on track and to remember why you started this journey in the first place! Make sure this photo is somewhere you will see it, so maybe next to your bed or on the fridge. By this, we don’t mean they have to train with you – but if your loved ones understand your reasons for starting an exercise routine, they are more likely to get behind you and push you to succeed. It also makes it easier if they are happy to follow the same eating plan as you, rather than everyone having to eat different meals. A great way to keep up exercise adherence is to look beyond the scales and set yourself a fitness challenge. So maybe: to run in a 10K race, climb a mountain or complete a charity sports event etc… By booking onto an event and setting a date, its easier to stay on track because that date will gradually be getting closer and you won’t want to let yourself down. It’s also healthy to have goals that aren’t purely aesthetic. And there we have it, these are just a few of our top tips. Motivational behavior is an important part of being a personal trainer so if you have a passion for fitness and helping others achieve their goals – why not check out our courses pages and start your new career in the health and fitness industry today!